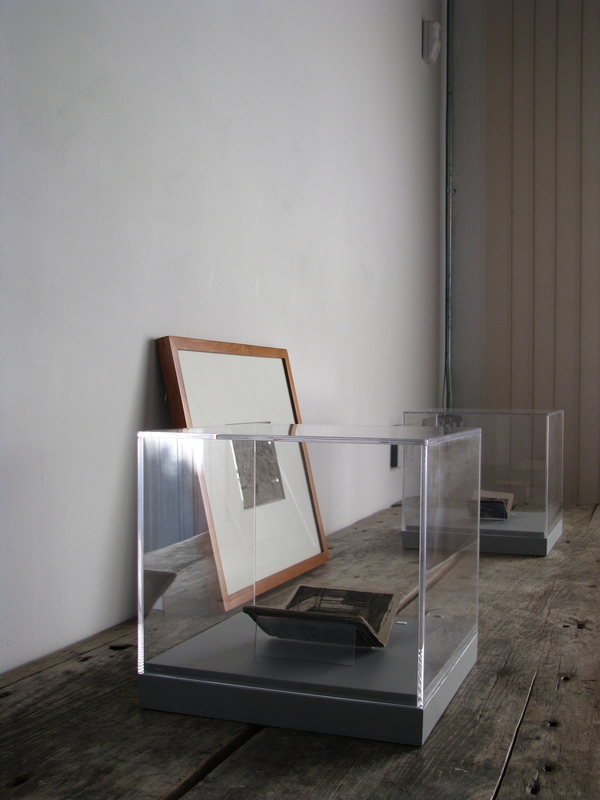 Lawrence Markey is pleased to announce our upcoming exhibition of handmade books by James Castle. This is the second exhibition of James Castle's work at Lawrence Markey (Castle’s drawings were exhibited in 2007). Born in Garden Valley, Idaho, James Castle (1899-1977) was a self-taught artist, born profoundly deaf, who created drawings, collaged objects and books with skill and dedication throughout his lifetime. James Castle attended the Idaho State School for the Deaf and the Blind from 1910-1915, however he resisted learning to sign, read or write, and by all accounts could not demonstrate a fully formed understanding of written or spoken language. James Castle lived on the family homestead for the duration of his life. The family home was also the local post office and dry goods store. Castle made extraordinary use of the found materials in this environment, such as papers salvaged from common packaging, mail, and flattened matchboxes, to generate his work. Castle made his own drawing tools from sharpened sticks, and his medium of preference was a mixture of soot, which he collected from a wood burning (and later oil burning) stove, and saliva. James Castle's work is included in major museum collections including The Art Institute of Chicago; Boise Art Museum; Columbus Museum of Art, Ohio; Henry Art Gallery, University of Washington, Seattle; High Museum of Art, Atlanta; Milwaukee Art Museum; Museum of American Folk Art, New York; The Museum of Modern Art, New York; The New York Public Library, New York; Philadelphia Museum of Art; Portland Art Museum, Oregon; University of California Berkeley Art Museum and Pacific Film Archive; and the Whitney Museum of American Art, New York. On the occasion of the exhibition at Lawrence Markey, a fully illustrated catalogue will be published, with an essay by Bob Nickas.